london | What happened in…. 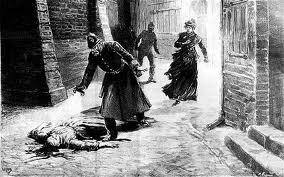 Jack the Ripper is the best-known name given to an unidentified serial killer who was active in the largely impoverished areas in and around the Whitechapel district of London in 1888. The name originated in a letter written by someone claiming to be the murderer that was disseminated in the media. The letter is widely believed to have been a hoax, and may have been written by a journalist in a deliberate attempt to heighten interest in the story. Within the crime case files as well as journalistic accounts the killer was known as “the Whitechapel Murderer” as well as “Leather Apron”.